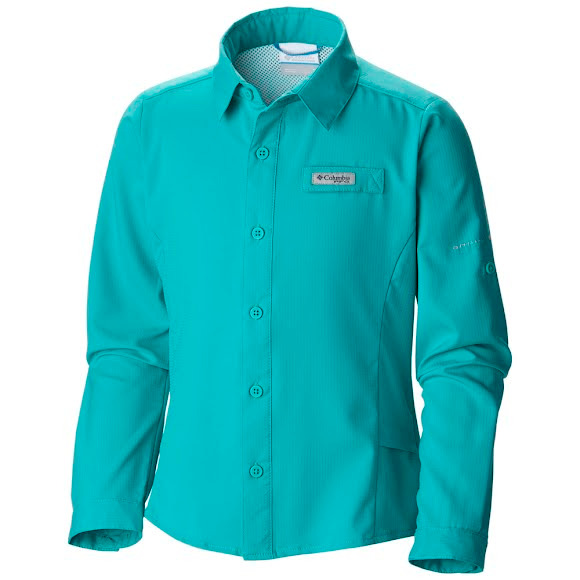 The Columbia Girl's Youth Tamiami™ Long Sleeve Shirt is a girl's sized takedown of the original. This functionally feminine button up is crafted from ultra-light ripstop fabric that's wicking and sun shielding, with mesh-lined ventilation at center back for the ultimate in cool-wearing comfort. The Columbia Girl&apos;s Youth Tamiami™ Long Sleeve Shirt is a girl&apos;s sized takedown of the original. This functionally feminine button up is crafted from ultra-light ripstop fabric that&apos;s wicking and sun shielding, with mesh-lined ventilation at center back for the ultimate in cool-wearing comfort.